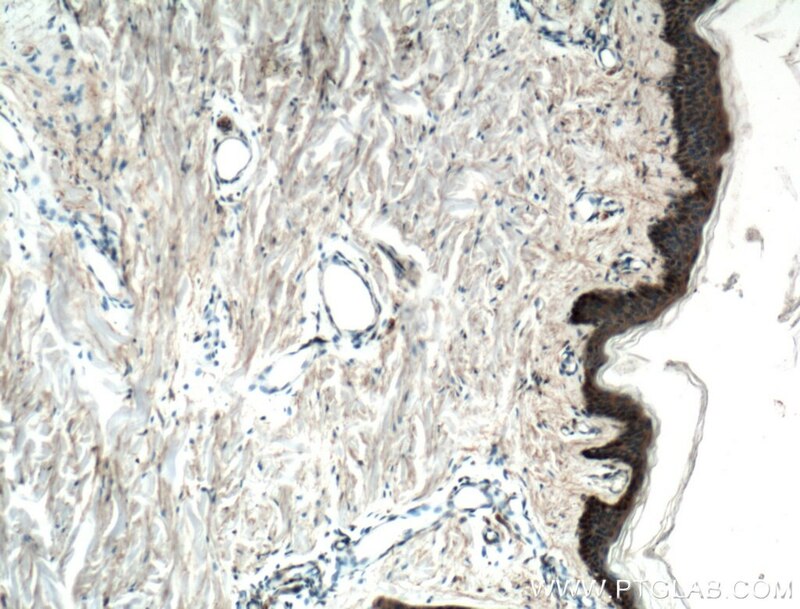 Immunohistochemical analysis of paraffin-embedded human tonsillitis tissue slide using 66455-1-Ig( EGFR antibody) at dilution of 1:2000 (under 10x lens) heat mediated antigen retrieved with Tris-EDTA buffer(pH9). 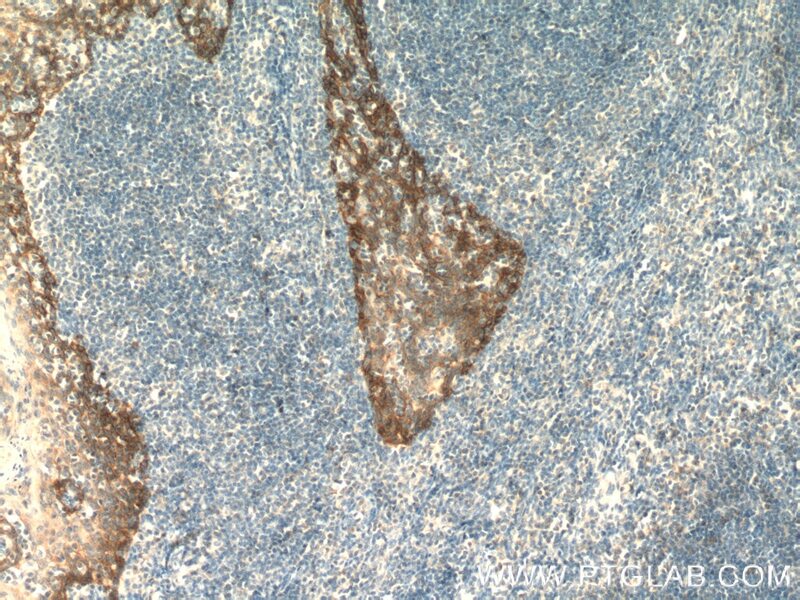 Immunohistochemical analysis of paraffin-embedded human tonsillitis tissue slide using 66455-1-Ig( EGFR antibody) at dilution of 1:2000 (under 40x lens) heat mediated antigen retrieved with Tris-EDTA buffer(pH9). EGFR, also named as ERBB1, is a cell-surface receptor for members of the epidermal growth factor family (EGF-family) of extracellular protein ligands. Binding of the protein to a ligand induces receptor dimerization and tyrosine autophosphorylation and leads to cell proliferation. 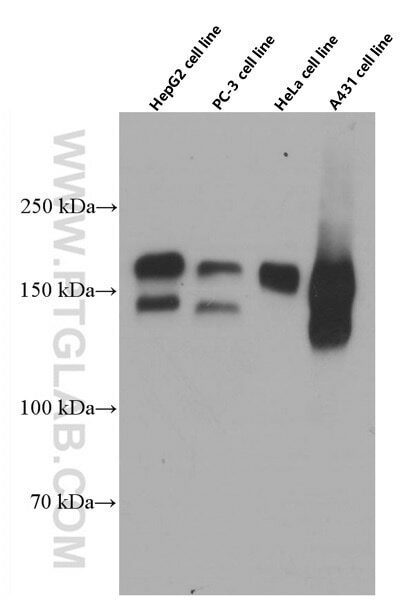 The gene resides on chromosome 7p12, encoding a 170 kDa membrane-associated glycoprotein. Recent studies have shown EGFR plays a critical role in cancer development and progression, including cell proliferation, apoptosis, angiogenesis, and metastatic spread. Mutations in this gene are associated with lung cancer. MUC1 induces acquired chemoresistance by upregulating ABCB1 in EGFR-dependent manner. 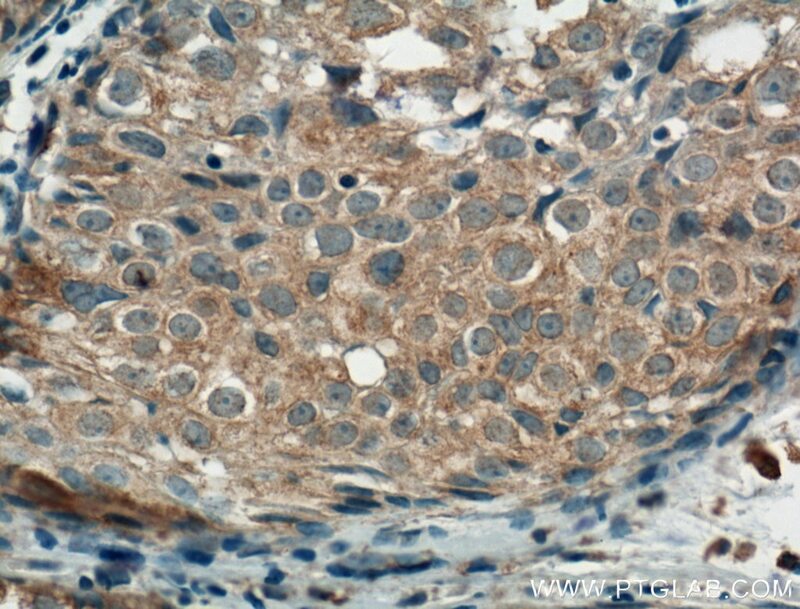 Honokiol Eliminates Glioma/Glioblastoma Stem Cell-Like Cells Via JAK-STAT3 Signaling and Inhibits Tumor Progression by Targeting Epidermal Growth Factor Receptor. 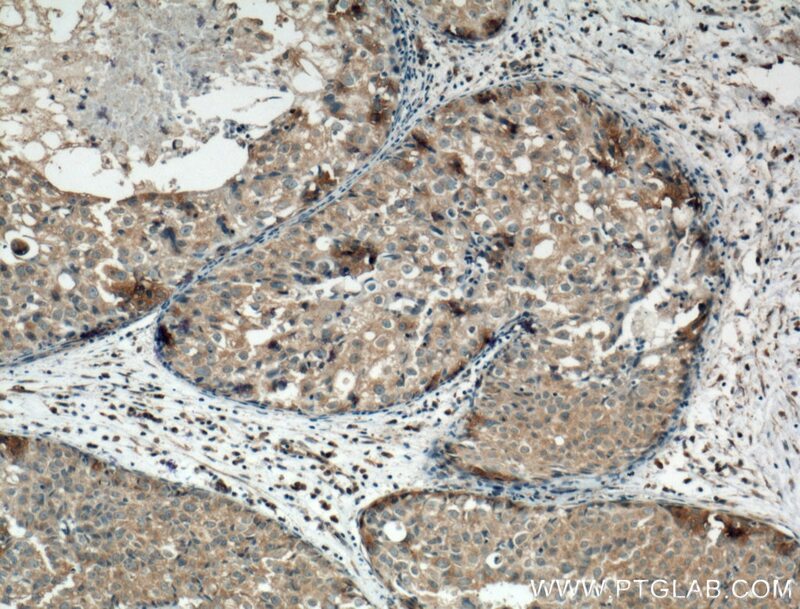 Immunohistochemical analysis of paraffin-embedded human breast cancer tissue slide using 66455-1-Ig (EGFR antibody) at dilution of 1:800 (under 10x lens) heat mediated antigen retrieved with Tris-EDTA buffer(pH9). 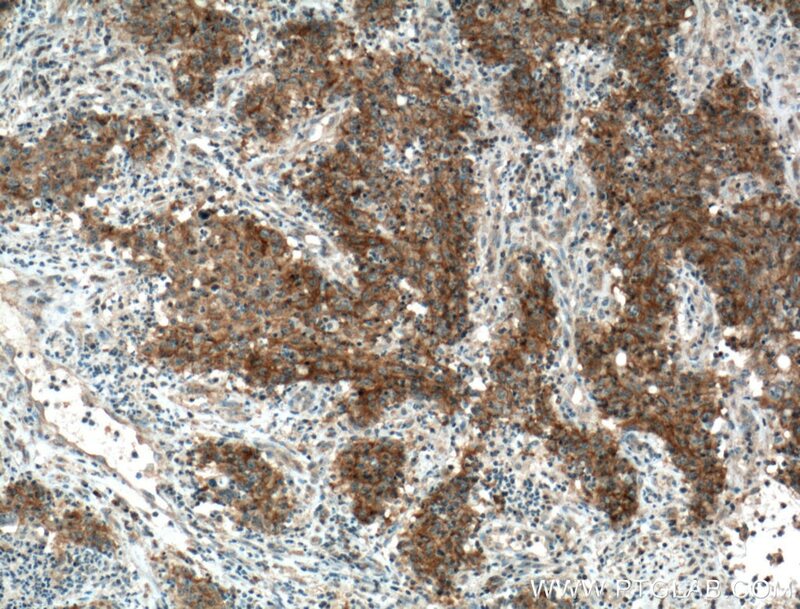 Immunohistochemical analysis of paraffin-embedded human breast cancer tissue slide using 66455-1-Ig (EGFR antibody) at dilution of 1:800 (under 40x lens) heat mediated antigen retrieved with Tris-EDTA buffer(pH9). 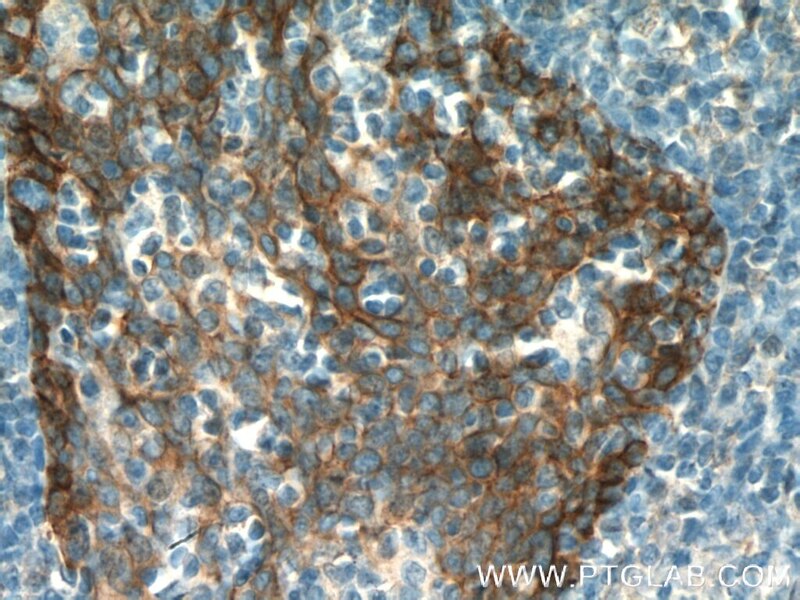 Immunohistochemical analysis of paraffin-embedded human cervical cancer tissue slide using 66455-1-Ig (EGFR antibody) at dilution of 1:500 (under 10x lens) heat mediated antigen retrieved with Tris-EDTA buffer(pH9). 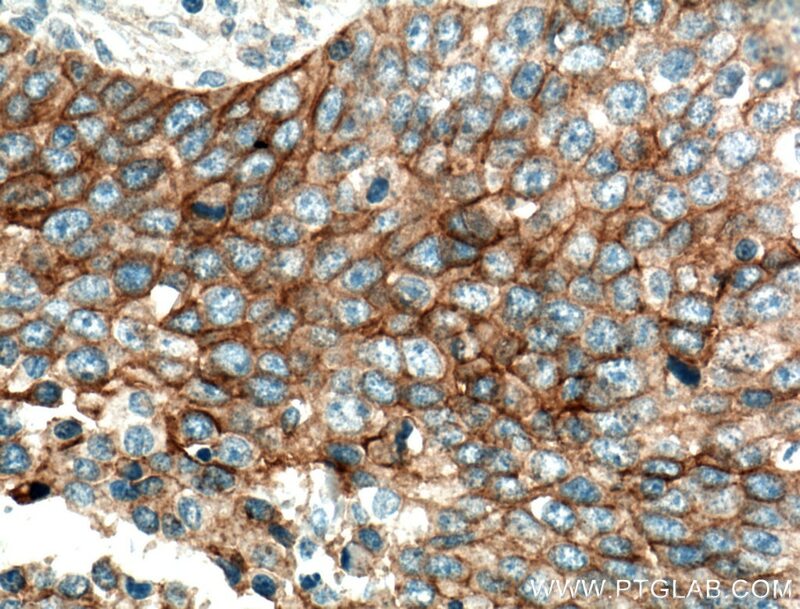 Immunohistochemical analysis of paraffin-embedded human cervical cancer tissue slide using 66455-1-Ig (EGFR antibody) at dilution of 1:500 (under 40x lens) heat mediated antigen retrieved with Tris-EDTA buffer(pH9). 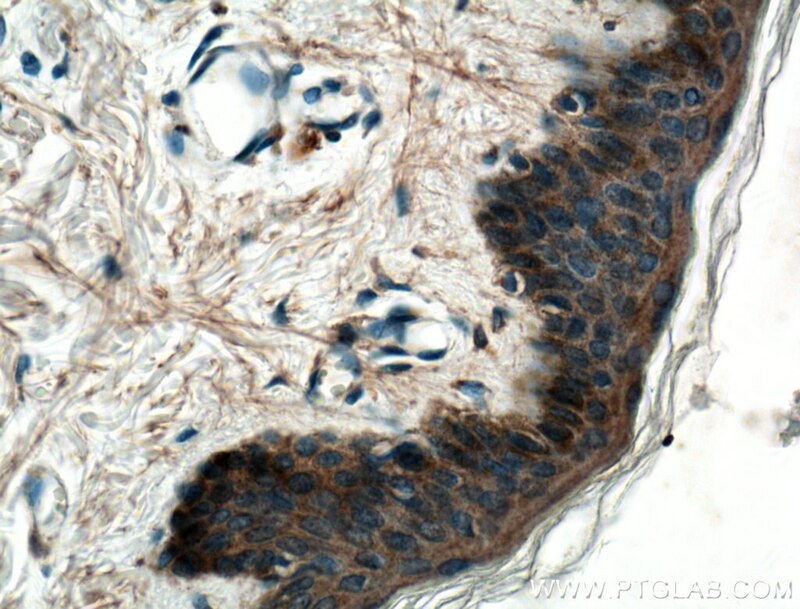 Immunohistochemical analysis of paraffin-embedded human colon cancer tissue slide using 66455-1-Ig (EGFR antibody) at dilution of 1:800 (under 10x lens) heat mediated antigen retrieved with Tris-EDTA buffer(pH9). 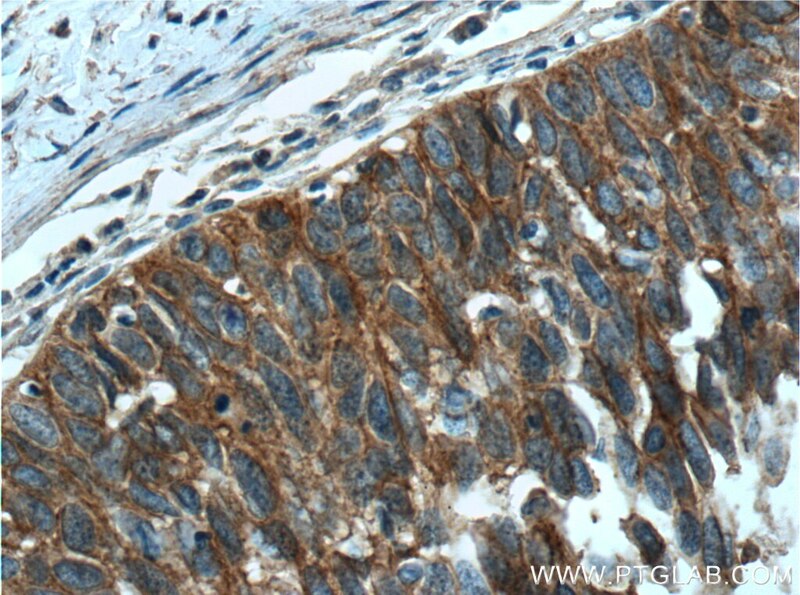 Immunohistochemical analysis of paraffin-embedded human colon cancer tissue slide using 66455-1-Ig (EGFR antibody) at dilution of 1:800 (under 40x lens) heat mediated antigen retrieved with Tris-EDTA buffer(pH9). 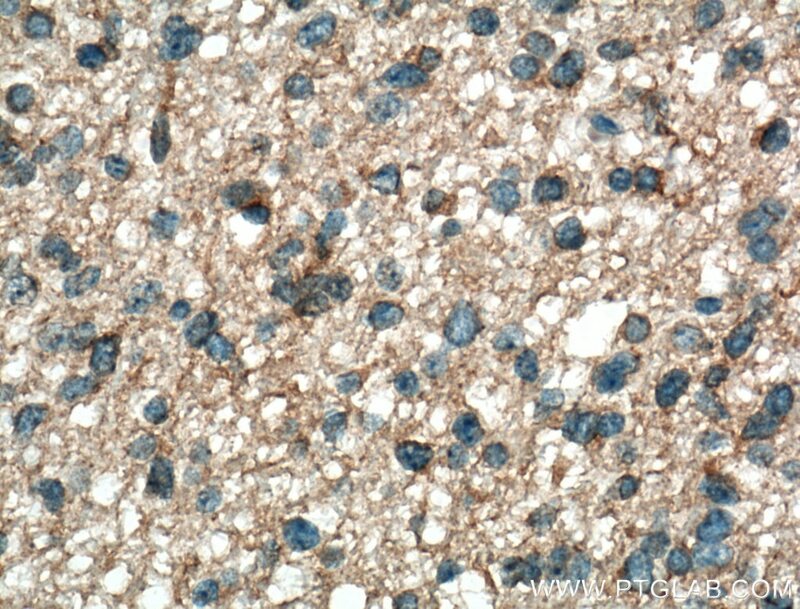 Immunohistochemical analysis of paraffin-embedded human gliomas tissue slide using 66455-1-Ig (EGFR antibody) at dilution of 1:1000 (under 10x lens) heat mediated antigen retrieved with Tris-EDTA buffer(pH9). 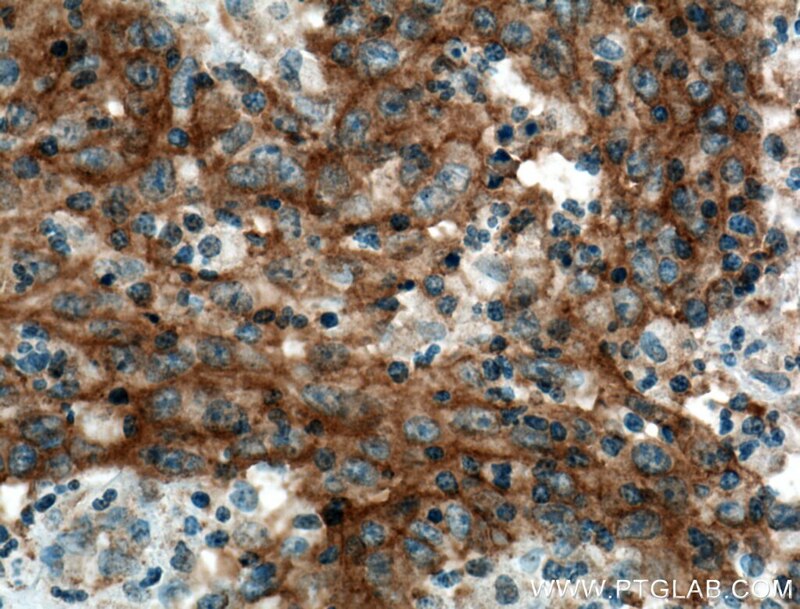 Immunohistochemical analysis of paraffin-embedded human gliomas tissue slide using 66455-1-Ig (EGFR antibody) at dilution of 1:1000 (under 40x lens) heat mediated antigen retrieved with Tris-EDTA buffer(pH9). 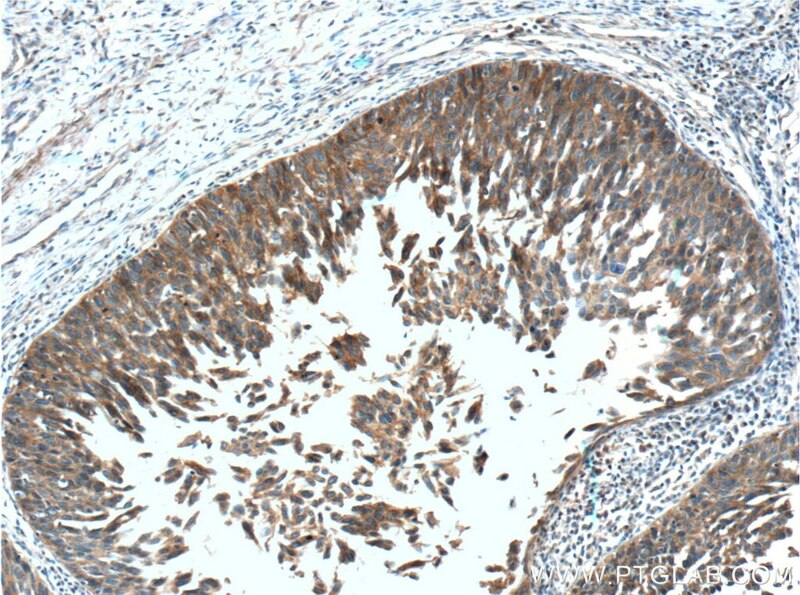 Immunohistochemical analysis of paraffin-embedded human lung cancer tissue slide using 66455-1-Ig (EGFR antibody) at dilution of 1:1000 (under 10x lens) heat mediated antigen retrieved with Tris-EDTA buffer(pH9). 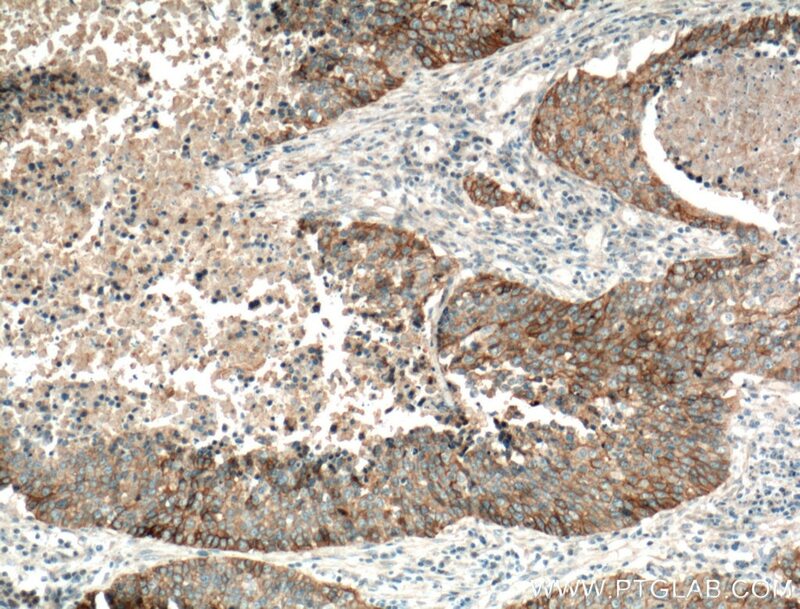 Immunohistochemical analysis of paraffin-embedded human lung cancer tissue slide using 66455-1-Ig (EGFR antibody) at dilution of 1:1000 (under 40x lens) heat mediated antigen retrieved with Tris-EDTA buffer(pH9). 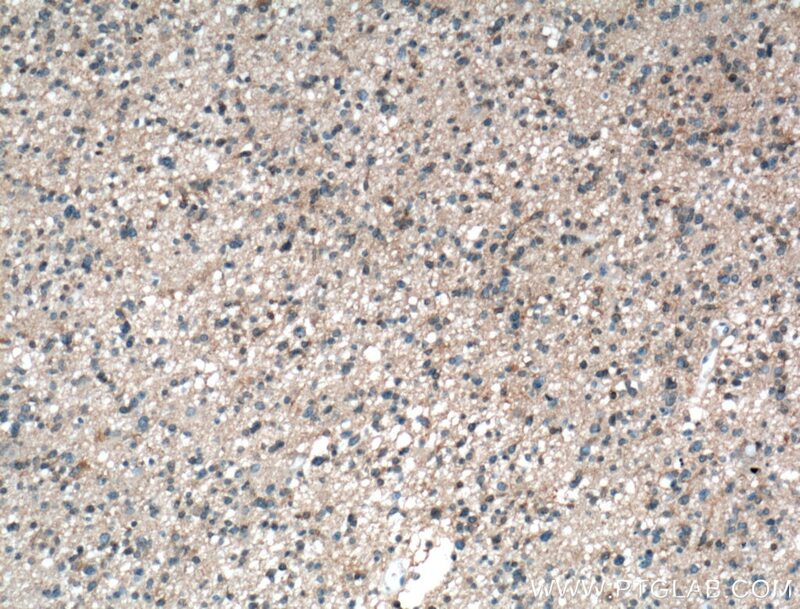 Immunohistochemical analysis of paraffin-embedded human skin tissue slide using 66455-1-Ig (EGFR antibody) at dilution of 1:1000 (under 10x lens).